Apple’s new year isn’t off to a great start. Instead of celebrating another stellar quarter, Apple CEO Tim Cook wrote a lengthy letter to investors warning about subpar iPhone sales and an overall dip in revenue to the tune of about $6 billion. That mean Apple is only going to make around $84 billion in revenue over the 3-month holiday quarter, an impressive number for sure, but one that represents a five percent dip from the same quarter last year and confirmation that all is not right in Cupertino. The most obvious way for Apple to boost growth is to lower prices. 2018 ushered in a disturbing trend, as prices rose significantly across all of Apple’s product lines. Unsurprisingly, Tim Cook failed to mention this fact in his letter, but it’s hard to believe that higher prices didn’t deter people from upgrading. During the lead-up to Christmas Apple pulled out every trick in its arsenal to boost sales, including raising the credit on trade-ins, but nothing gets people to open their wallets quicker than an honest-to-goodness price cut. The Apple Watch could become the center of a new wearables-centric strategy. 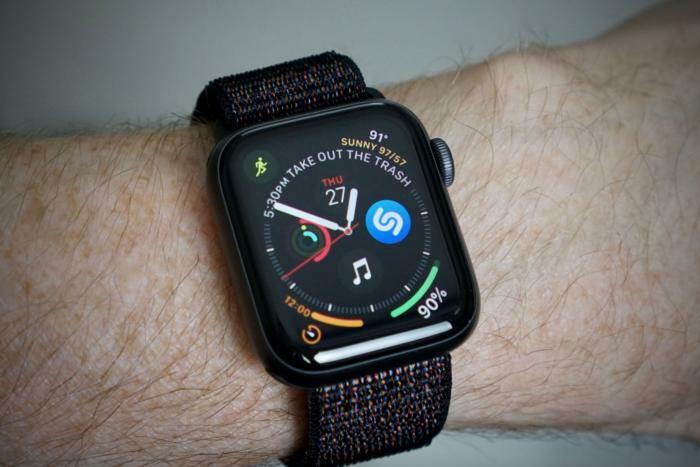 There are already rumors of AirPods 2 with water resistance and Hey Siri support on the way, and we can bet the farm on a new Apple Watch arriving in the fall, but Apple’s plan for wearables won’t be limited to existing products. Apple is reportedly working on a set of studio headphones and a pair of AR glasses, so we may start to see new wearable devices from Apple much sooner than later. Also, let’s not forget that the iPod didn’t truly take off until Apple opened it up to Windows users, so perhaps 2019 is the year Apple lets Android phones play nice with the Apple Watch.